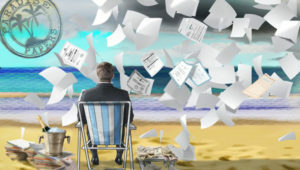 This week, German news outlet Sueddeutsche Zeitung and the International Consortium of Investigative Journalists (ICIJ) have released the highlights of another multi-million-document trove related to international high finance, offshore tax havens, and allegations of tax evasion and money laundering. 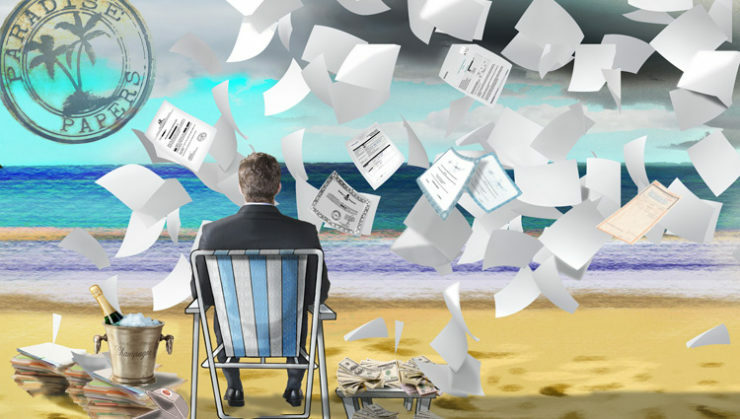 This latest leak of finance and tax documents, termed the “Paradise Papers,” mirrors last year’s release of the infamous Panama Papers. And, like the 2016 Panama Papers exposé, also brought forth by Sueddeutsche Zeitung and ICIJ, there’s plenty of online-gambling connections already spotlighted among the sniffed-out highlights. The biggest story to emerge so far from the Paradise Papers reports is that four prominent banks and financial-tech firms are alleged to have prominent links to the online-gambling industry. That’s a market niche that may (or may not) be in violation of German law. SZ and German public-radio outlet NDR (Norddeutscher Rundfunk) reported that the four banking companies — DZ Bank, Postbank, Hypo-Vereinsbank and Wirecard — had been processing payments for online firms. For the established banking firms, meaning DZ Bank, Postbank, and Hypo-Vereinsbank, the public black eye hasn’t had much of an effect on their business in the short term. Not so over at online-wallet and payment-processor Wirecard AG, which saw its share price plunge sharply on the news. Wirecard’s shares recovered, but only partially, and now sit about 4% off from this time last week. As a Bloomberg feature noted, Wirecard may have suffered a greater hit because it’s more of a fintech firm than the other three Germany-based banks. Wirecard also had a bit of a setback a year ago, when a a market-investment company put together a report claiming a suspect background for the company. That company admitted it was trying to drive Wirecard’s price down as part of a short-selling gambit, which resulted in a handful of legal threats being tossed around. The connection between the four German banking entities and the online-gambling isn’t all of the interesting online-gambling stuff to emerge from the Paradise Papers, which include some 13.4 million documents and focus on such tax-haven jurisdictions as the Cayman Islands, Bermuda, Hong Kong, the British Virgin Islands (BVI), and others. For instance, remember the surprise (to some) disclosure last week that PokerNews parent company iBus Media had been acquired by Rational Group several years ago? There’s a good chance that that news emerged when it did precisely because it was about to be exposed anyway. 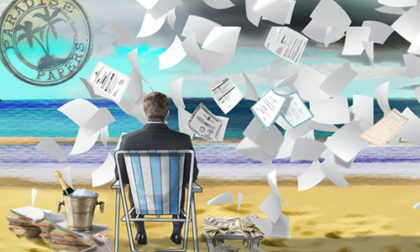 Like the earlier Panama Papers, the early reporting on the Paradise Papers has focused on politicians being involved in these haven-seeking companies and business deals. That necessarily includes iBus Media co-founder Antanas Guoga, otherwise known as Tony G, who has been for the past few years a member of Lithuania’s Parliament. That sale of iBus Media seems to have involved another corporate entity, and it also involves (at least) Mark Scheinberg, the co-founder of PokerStars’ original parent company, Rational Group. Antanas Guoga is a member of the European Parliament from Lithuania and a professional poker champion also known as Tony G.
Guoga is a founder and former shareholder of iBus Media Ltd., a gambling news publisher on the Isle of Man. Appleby data show that another shareholder is Mark Scheinberg, a co-founder of PokerStars, an online gambling company that settled a U.S. Justice Department fraud lawsuit for $731 million in 2012. An internal Appleby message in 2015 said Guoga was no longer a shareholder or officer of iBus. Guoga owns a company called SG Holdings Ltd., according to the Maltese corporate registry. He did not reveal that stake in his parliamentary disclosures, according to 15min.lt, an online media platform in Lithuania. Guoga told ICIJ partner in Lithuania 15min.It that the information regarding his interest in iBus Media “is fully public and is available at the tax office and other official authorities as it is declared according to the laws.” He also said that all the transactions, including sales of iBus Media shares, are known to the state tax office. “I was an investor and did not participate in the operations of the business,” Guoga said. Well, maybe by 2014 or so that was true. The rest of it, though, recolors the whole storyline from last week about iBus Media (PokerNews) having been sold on to Rational Group, and then in turn moved on to Amaya, which we now know as The Stars Group. It is quite clear from the above that Guoga was contacted by a journalist in Lithuania who identified himself as being with the ICIJ,and that’s well known as the same group that was behind the 2016 Panama Papers revelations. Even Tony G could’ve put 2 + 2 together (no pun intended there) and deduced that the sale of iBus and PokerNews would be made public when this Panama Papers 2.0 or whatever was released by the ICIJ. It’s also an easy assumption that the ol’ G or Appleby, the international law firm connected with the sale, would have forwarded that knowledge on to the people who bought iBus and PN, which is very likely why last week’s news emerged when it did. … [I]n May 2015, Appleby’s New Business Committee noted that Clark was an independent director of Amaya Inc., the sole shareholder of the Isle of Man company in which he had no controlling interest, according to the files. When the committee recommended obtaining additional documentation on Clark, who was identified as a politically exposed person (PEP), the company complied “in order to proceed to assign the UK Amaya trademark to the new company so we can develop our portfolio,” PokerStars’s internal counsel wrote in an email. The beneficial owner of the Isle of Man subsidiary was to be Amaya’s CEO, David Baazov. The summary then continues on with a recounting of Baazov’s ongoing insider-trading problems, which have resulted in an ongoing court case in Quebec. As with last year’s Panama Papers, there’s likely more to emerge from the Paradise Papers leaks. There has been plenty of non-gambling news to emerge as well, with people such as Queen Elizabeth II, Donald Trump, US Secretary of Commerce Wilbur Ross, a prominent fundraiser for Canadian prime minister Justin Trudeau, celebrities such as Madonna and Bono, and corporations such as Apple and Nike all linked to secretive offshore companies.